Wits and speed. Do you have both? Good. You won't die today, then. The Awakening is a fast-paced puzzle game. 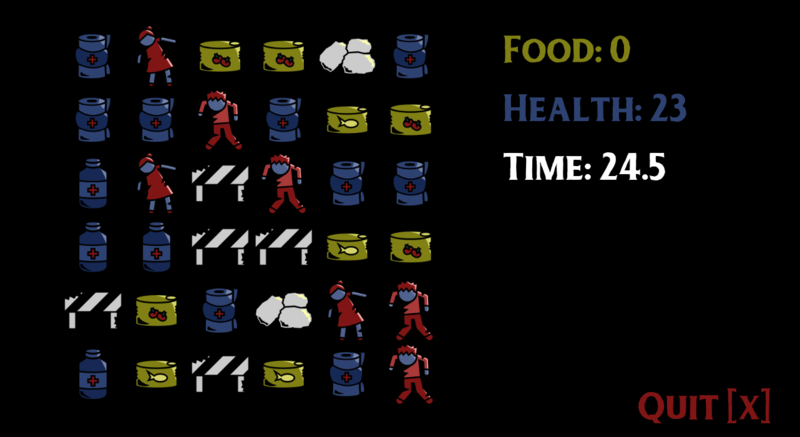 Use your quick thinking to collect food while avoiding the Awaken: reanimated death who appeared in the world and caused the society to collapse. Procedural levels. 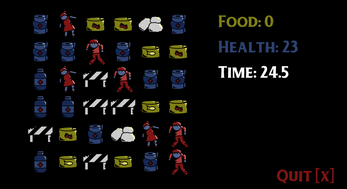 Try different paths and tactics and improve your scavenging skills with time. Do you prefer surprises? 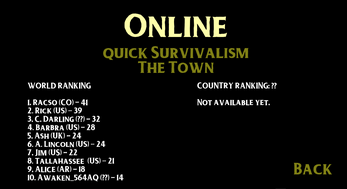 There are random levels, too. 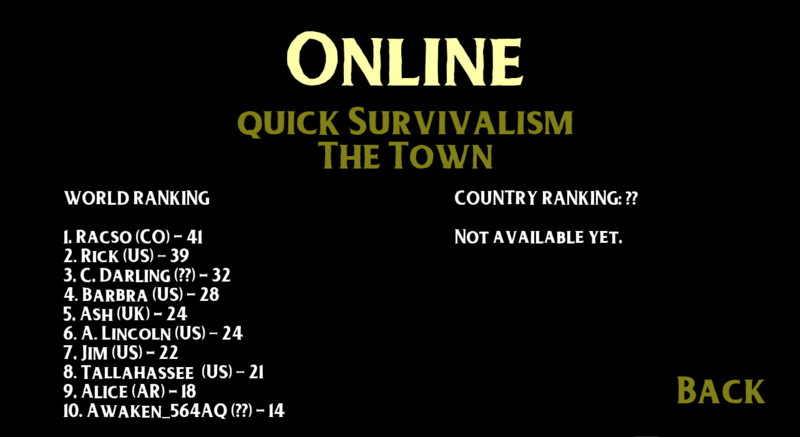 Quick survivalism and Exploration modes. 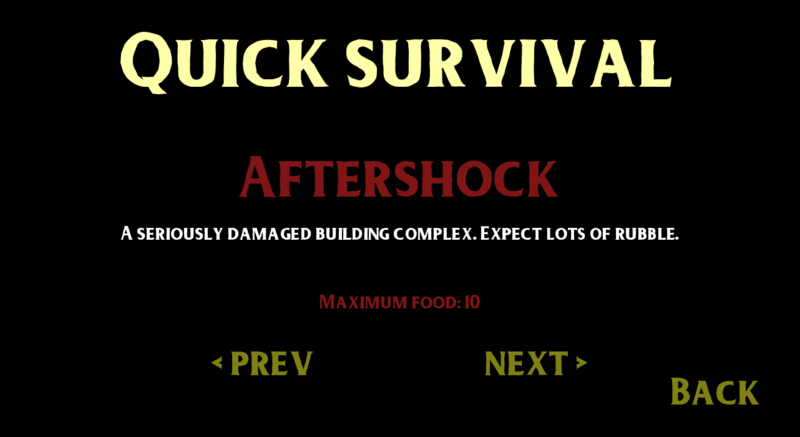 Collect food as quick as you can, or take your time to explore the place while avoiding danger. 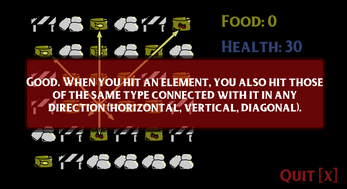 There are 4 types of tile in the board: health, food, obstacles and Awaken (enemies). Each turn, pick a tile. You'll hit that tile plus every tile of the same type directly connected with it in any direction (vertical, horizontal, diagonal). Tiles you hit are removed from the board, and their effect is applied: health tiles heal you, and food tiles add score. Obstacles do nothing; you remove them to clean the board. 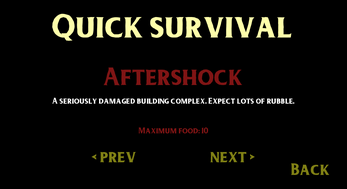 After each of your moves, remaining enemies attack you. Try to maximize your score before time runs out! Don't get killed!